Our children’s entertainment show is perfect from the age of 4 to 12 and provides children our fun children’s entertainment show with the kid’s favorite party dances, games and loads of sweets and prizes all included within the price. The show also includes a bubble machine which is added to all our children’s shows at no extra cost and a snow machine can also be added to request, please ask your children’s entertainer a week before your booking. 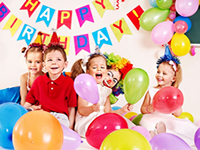 Our children’s show is designed to be lots of fun for the children and we will also make sure that the Birthday Child is the star of the party and will be involved a lot during the show, if the party includes magic they will also get to take a special prize home! 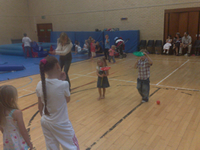 Mums and Dads sit back and relax while your children’s entertainer takes care and entertains the children! This is our most popular package with our clients, the show will start with an hour of action-packed games and party dances with loads of prizes. Then the food will be served and while the food is being served the magic show will be setup, after the children finish their food we will then do the magic show (usually 30-40 minutes) and then do more games and party dances with the remaining time or the last hour will be an hour of games and entertainment depending if you would like magic. 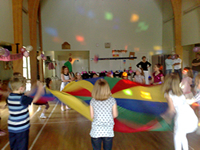 We also offer a one hour entertainment show which includes half an hour of fun party dances and games and then the last 30 minutes can either include a magic show or more party-games and dances. Food is served half-way through the show so we can setup for the second half of the show.